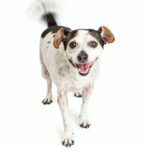 If you have an older dog, you’ve likely contemplated adding a new dog to your family. 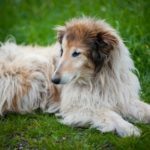 A second dog can make your older dog’s golden years brighter and often can provide a spark to give him new energy. Having two dogs can make your life easier as they amuse and entertain each other. Usually, older dogs eventually will accept a new, younger dog or puppy. Some, however, will not make joining their pack easy for the newbie! As far as the older dog is concerned, the new puppy or dog must learn and earn their place in the pack. In this scenario, many older dogs behave just as they would in the wild. By ignoring or growling at the new dog or puppy, they are displaying their leader status. After all, it’s their house because they were there first. The puppy or new dog instinctively learns to respect the older dog’s authority. But to get to that point, there may be some drama with growling and snapping. The good news is it rarely gets more serious than that. Stay out of it, unless you see it is getting out of hand. By interfering, you are disrupting the natural order of pack psychology and survival. Smart puppies will back down, out of respect. Usually, the puppy or new dog will accept the terms of the relationship and there will be less drama and more peace. 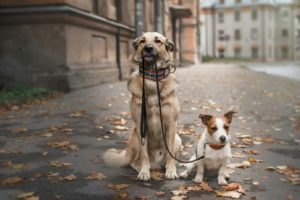 A terrific way to help your new dog bond with his older companion is to walk them together. A terrific way to help your dogs bond is to walk them together. If they are similar in size, you can use a leash coupler when you walk. 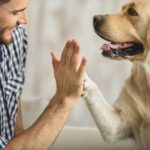 By demonstrating your leadership skills, you are instilling in both dogs, the importance of listening to and following you. Now both dogs have something in common — they see you are the boss. Let your older dog see good things happen when the puppy is around. Give both dogs lots of treats and tons of praise for staying calm. Take care not to show favoritism to the second dog. That can easily make the older dog jealous. Spend quality time alone with your older dog. Make sure he doesn’t feel like he’s being replaced. Secure dogs are happy dogs. 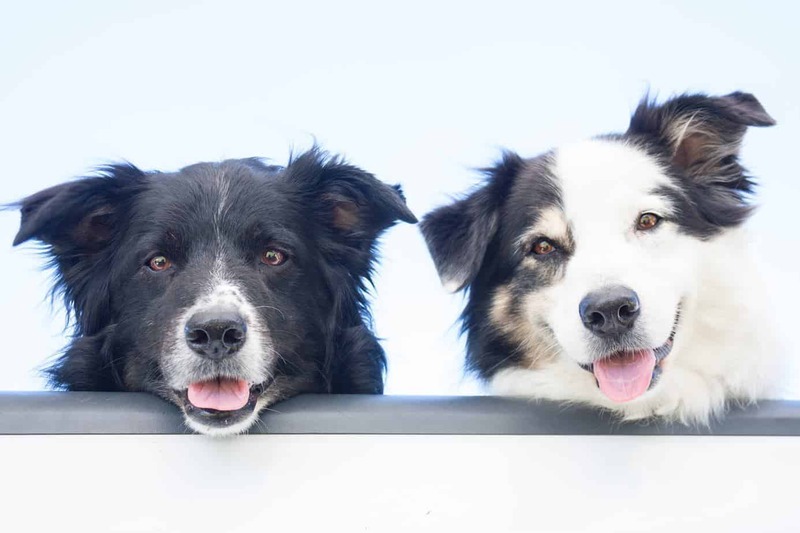 Find a few common fun exercises and games both dogs will enjoy doing together. As they playfully interact more with each other, gracefully bow out. Let them focus on and enjoy playing with each other, not you. Enroll in positive reinforcement, punishment-free obedience class. Just because your older dog is not a puppy, doesn’t mean they won’t enjoy puppy kindergarten. If your younger dog is too rambunctious for your older dog, consider using interactive toys to tire him out. 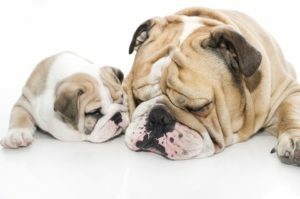 Usually, your older dog will be a great role model for your second dog. 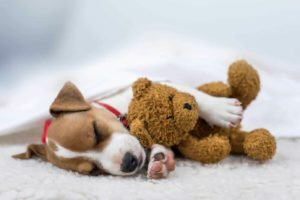 Puppies love learning by “monkey see, monkey do.” And the socialization with other dogs and puppies at your class will be beneficial for both of them. Be patient. By letting nature take its course, usually the situation between an old dog and a second dog works itself out. Oddly, the best part about doing it this way is; the puppy’s inherent pack instincts are reinforced. They will learn trust and respect and understand their rightful place in the pack has to be learned and earned. We are needing some advise on our new puppy. We recently lost our german shepard after a few years of seizures and sicknes. Along with the shepard we have a lab mix. After losing our shepard, our lab went into depression. It has gone on for several weeks: not really eating, no playing-just laying down. The vet suggested that a puppy would help so we adopted one from a shelter.. The pup wants to play and the lab growls, runs away and hides. Any suggestions?????? 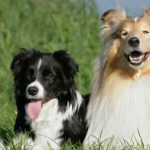 You’ll need to give your older dog time and make sure you supervise the time he and the puppy spend together. You also need to make sure you continue to give your older dog lots of attention, walks, petting, brushing, etc. You need him to know he’s still well loved and that you aren’t trying to replace him.